Harry Kane's rivals for the EPL Golden Boot Lukaku and Sanchez face each other when Everton travel to Arsenal on the final day and the Spurs striker admits he can win it. Harry Kane admits he is in the "driving seat" for this year's Premier League Golden Boot after scoring four goals in Tottenham Hotspur's 6-1 victory over Leicester City. The 23-year-old got his fourth hat-trick of the season to go into the final weekend of the campaign with 26 PL goals, two clear of Everton's Romelu Lukaku and three ahead of Arsenal's Alexis Sanchez at the top of the scoring charts. 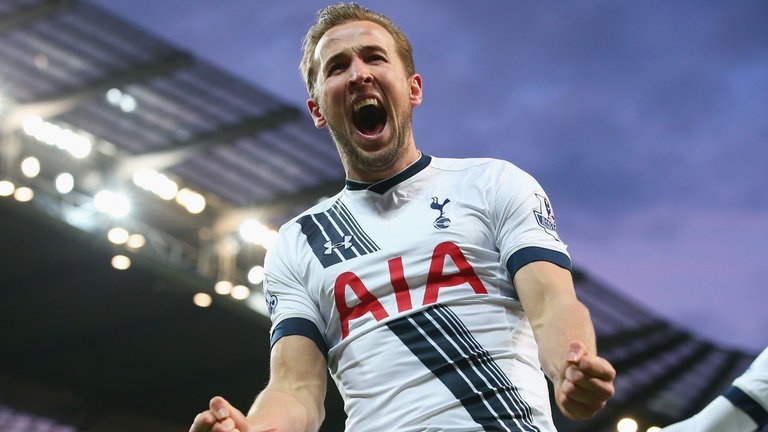 Kane is aiming to claim the Golden Boot for the second year running and although his side travel to relegated Hull City on the last day, he is taking nothing for granted. "I'd been thinking this week that I wanted to get onto the scoresheet and it's the first time I've scored four," he said. "It's a good moment to do it. "I'd be lying if I said I thought I'd be two goals ahead. I was looking to get one or two goals at least [against Leicester] and then hopefully take it into the last game. "I'm in the driving seat [for the Golden Boot] at the minute but there is still one game to play so I am not resting on my laurels." Lukaku and Sanchez will come up against each other when Everton travel to Arsenal on the final day.